PST file is an essential part of Microsoft Outlook email client. 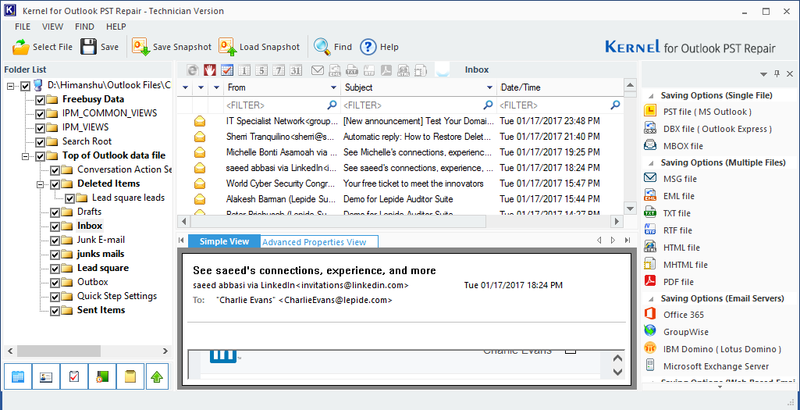 PST files contain all your emails, contacts, calendar entries, appointments, journals, etc. ; it means that they hold the entire MS Outlook items. These PST files are susceptible to corruption and can get corrupt at any point in time leading to the inaccessibility of Outlook components. Hardware reasons: Failure of the storage device where PST file is saved, failure of networking device that is used to synchronize the file with the server through a network connection and power failure are some of the common hardware reasons that make your PST file data inaccessible. Device Failure: PST files stored on the hard disk may get damaged when your disk gets corrupted. Power Failure: Power failures and sudden systems causes sudden Outlook exits and leads to corruption of PST files. Damaged network devices: When you have stored PST file over the network, network issues can corrupt PST files. Software reasons: Logical corruption of PST file occurs if the file is opened and modified incorrectly, corruption of PST file due to virus or malicious software, abnormal termination of Outlook, 2 GB file size limitation in earlier version of Outlook are some of the software reasons that lead to PST file corruption and put you in a problematic situation. Virus Attack: Virus attacks damages whole system data including the PST files. 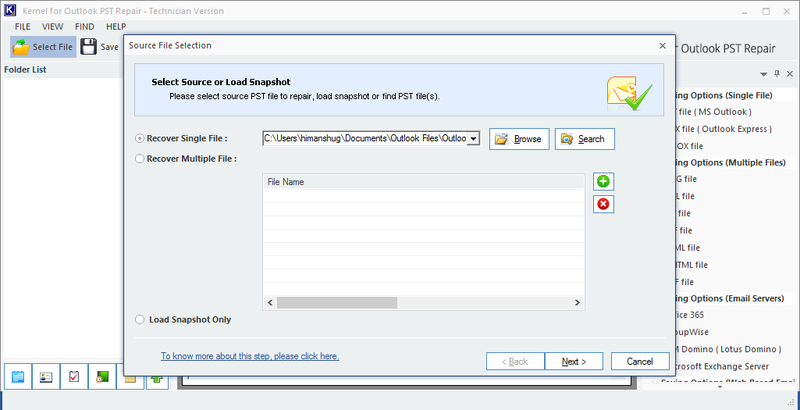 Improper system shutdowns: Improper and sudden system shutdowns will lead to Outlook issues and PST file damages. Oversized PST files: When your PST file gets oversized, this will lead to PST corruption. There are two methods to repair damaged and corrupted PST files. 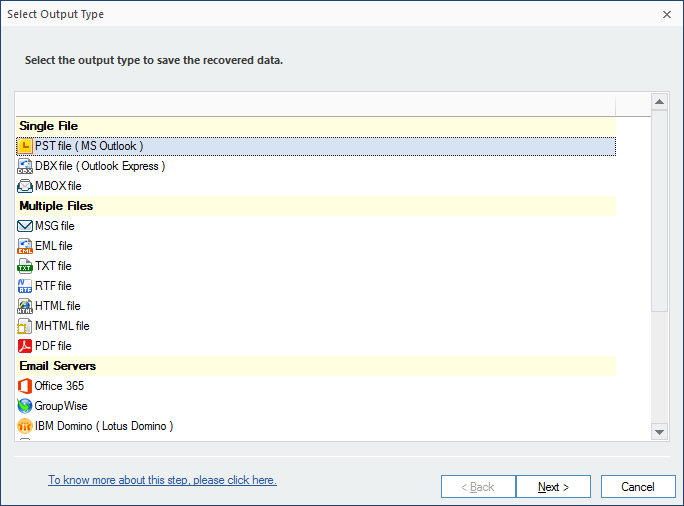 Microsoft provides a free utility that can repair Outlook inbox and corrupted PST files so that you can use them again. 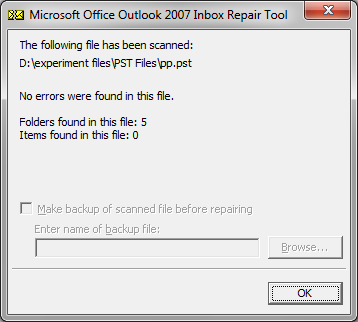 However, the problem with this tool that it cannot repair harshly damaged and large PST. If your PST file is large and harshly damaged, then you have to use a third-party tool. 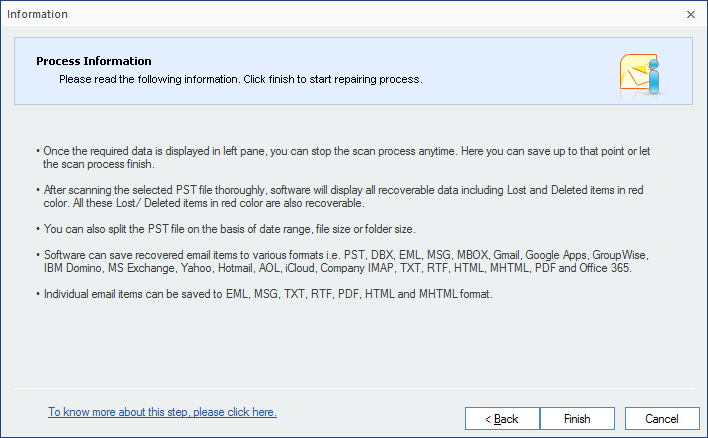 Kernel for Outlook PST Repair utility scans the damaged and corrupted PST files and recovers the data. You can also export those PST files to Office 365, Exchange server, Domino server, and GroupWise. This tool repairs large and severely damaged PST files too. And, while repairing PST files, this PST recovery tool ensures the security and integrity of the data. Also, this easy to use tool supports all the versions of MS Outlook and Windows OS. After installing the software, launch the tool on your desktop. Select the corrupt PST file from the welcome screen of the tool and click Next. Read the instructions for repairing the corrupt PST file and click Finish. After fixing the corrupt file, the PST file folders will be visible in the left pane of the tool. Select any folder to preview its content in the tool. 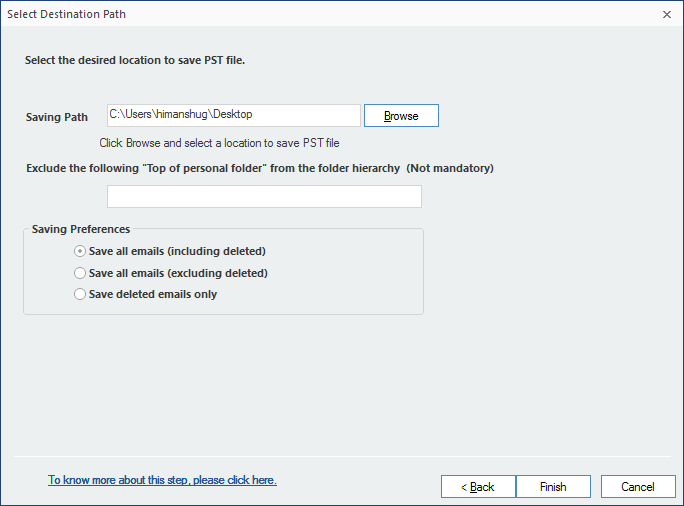 Now, click the Save button to save the PST file. 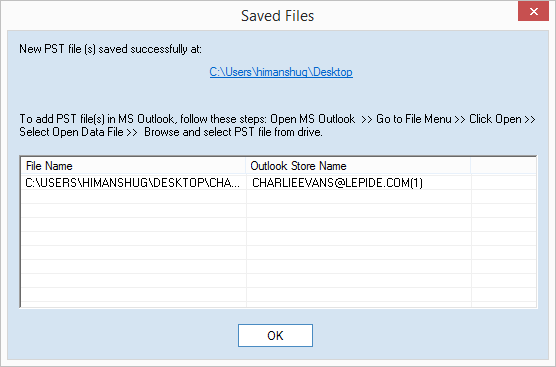 Select the specific saving option to save the file and click Next. 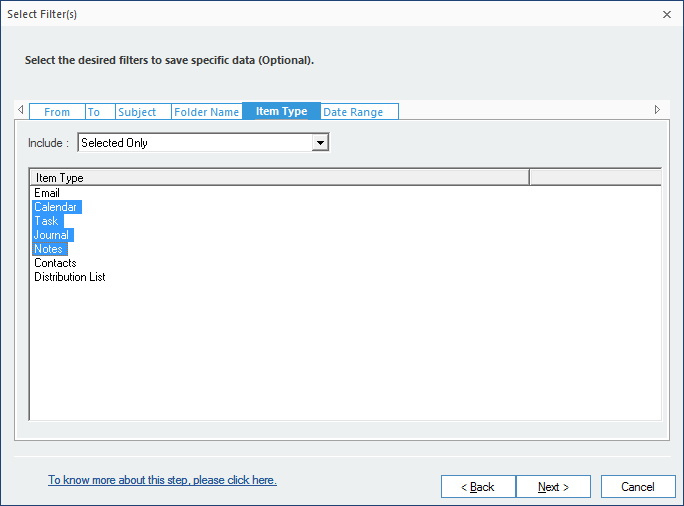 Apply the specific filters to the corrupt PST file based on your requirements and click Next. 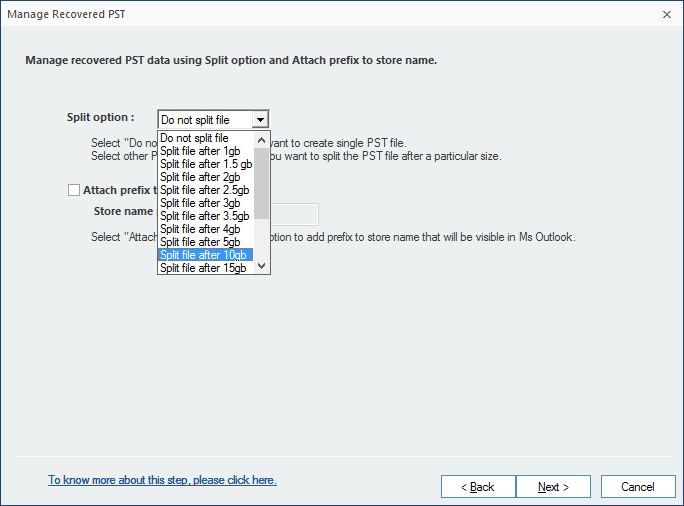 In the next step, if you want to split the PST file, then select the specific option from the drop-down menu and click Next. Select the specific location to save the recovered PST file and click Finish. he tool will start saving the PST files. After the file saving process is complete, a notification will appear on the screen confirming the same. Click OK to end the process.